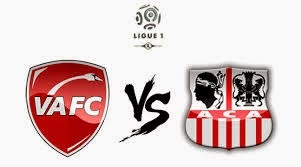 Here we have a match between Valenciennes and Ajjacio in the French second division. There really should not be over the four point five goals in this match and if that happens then this bet will be a winner. Neither team are going to want to lose this match as they are both flirting with relegation this season and thus I feel that it will be a tight affair with not too many goals in it. Both teams I think will be playing for the draw and it will result in this being a low scoring match in the end .